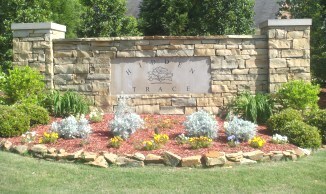 Hidden Trace is conveniently located near downtown Trussville, the Pinnacle Shopping Center with easy access to I-459/59. This established neighborhood includes approximately 268 homes which were built between 1999 - 2006. Below you will find a list of homes for sale in Hidden Trace. Also click here for the Hidden Trace HOA info. If you are interested in buying or selling in Hidden Trace, give Bonnie Hicks Realtor/Real Estate Agent in Trussville a call at 205-915-7653. Bonnie has been listing and selling real estate in Trussville and the surrounding areas for over 24 years. Give Bonnie Hicks a call today! Authored by Bonnie Hicks.